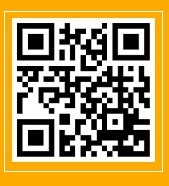 Once you've downloaded the application which works with your device put "CRNLive" in the radio or streaming search bar. Thank you for your continued support. 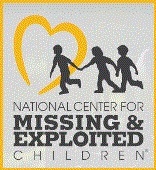 As a gesture of appreciation we are giving away prizes just for displaying our banner on your personal or business site. We hope you continue to enjoy our programming at home or at work. Learn more about this promotion below! Private, non-profit, and non-partisan organization focused on reducing poverty and discrimination, and improving opportunities, for Hispanic Americans. 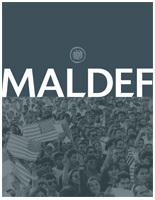 To advance the economic condition, educational attainment, political influence, health and civil rights of the Hispanic population of the United States. The American Diabetes Association is the nation's leading 501(C)3 nonprofit health organization providing diabetes research, information and advocacy. Founded in 1940, the American Diabetes Association conducts programs in all 50 states and the District of Columbia, reaching hundreds of communities. Learn more about the American Heart Association's efforts to reduce death caused by cardiovascular disease. 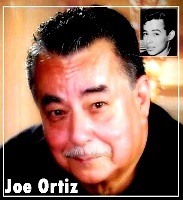 Joe Ortiz had the distinction of being the first Mexican American in the US to host an English-language talk show on a commercial radio station, beginning in 1971 on KABC-AM in the city of Los Angeles. Joe was a journalist and freelance writer for numerous media throughout the nation. He manages several blogs as well as writes on a variety of issues including business, community and public leaders, authors, sports and entertainment personalities, theology and many other significant topics. Joe has conducted radio and television talk shows at KABC-AM, KLOS-FM; KCBS Television; he was the Chief News Reporter for the nationally syndicated KPFK-FM NEWS (Pacifica Radio) in Los Angeles; and hosted his Prime Time with Joe Ortiz show, which aired on KPPC-AM in Pasadena and KPZE-AM in Anaheim. He also co-starred with writer-actor-comedian Cris Franco on a 6-9 a.m. drive-time show, Mornings with Joe & Cris, at KPZE-AM. He was a member of both the National Association of Latino Journalists and (one of the original founding members of) the California Chicano News Media Association. He wrote a weekly column at Eastern Group Publications, the largest chain of Hispanic owned bilingual newspapers in the U.S. 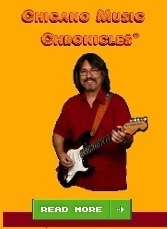 He is the current publicist for the Chicano Radio Network (CRNLive! ), the largest Latino-themed radio conglomerate. Fill out your e-mail address to receive the CRNLive Newsletter! This show is hosted by community activists, Andrew & Theresia Elias. On this program Andrew and Theresia address the many issues surrounding the subject of Domestic Violence, teen suicide, and other related topics. Both Theresia and Andrew have been personally affected by the subject of Domestic Violence, having survived a brutal attack that nearly cost them their lives. They will be interviewing those in our communities who have been affected and those who are role models of success and victory, providing sanctuary and resources. 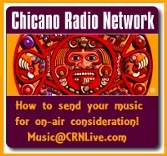 2018 (c) Copyright CHICANO RADIO NETWORK U.S.A. a division of STAR SOUND MUSIC GROUP� All rights reserved.